Bleeding while flossing and brushing the teeth is often one of the first signs of gum disease. What may seem like minor bleeding can lead to serious oral health problems, including tooth loss. It's important to seek treatment for gum disease as soon as possible to prevent further damage and restore your oral health. Restorative dentistry treatments can help treat dental damage and other oral health problems caused by gum disease, restoring oral health and preventing further damage. To discover your treatment options for tooth loss and gum disease, schedule a consultation with Albuquerque, NM dentist Byron W. Wall. Gum recession: Gum disease can lead to gum recession. When the gums recede, the dental structures that are protected by the gums are left exposed to bacteria and acid, increasing the risk of tooth decay and tooth loss. Pocket formation: Gum disease can lead to pockets forming between the gums and teeth. Pockets develop as plaque, tartar, and food debris settle at the gum line. As more debris collects, the pockets become bigger, eventually allowing plaque and tartar to reach the tooth roots and structures supporting the teeth. If left untreated, this can lead to tooth loss. Tooth decay: Tooth decay is a common complication of gum disease and is particularly dangerous to dental health. 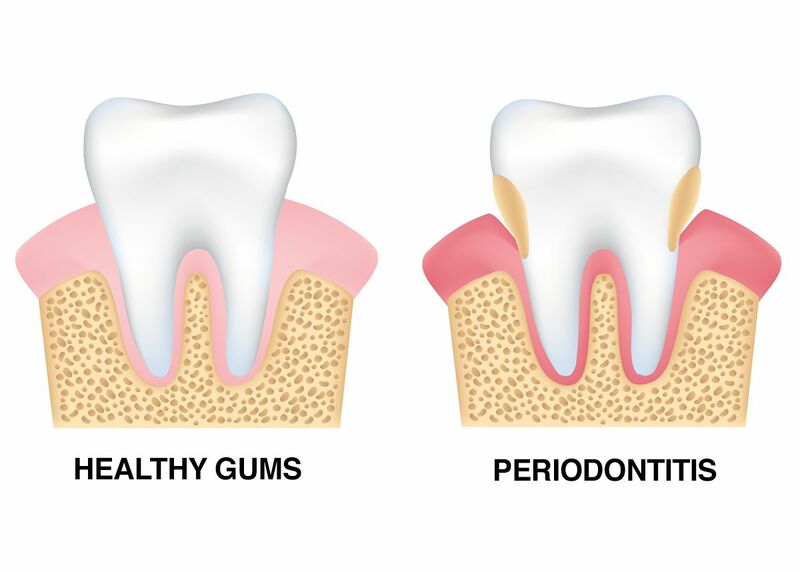 Gum disease can increase the risk of tooth decay at and below the gum line. When the dental roots experience decay, the tooth is at increased risk of damage to the blood vessels that nourish the teeth. If these become damaged, the tooth may die and fall out or need to be extracted to protect oral health. Spread of infection: If left untreated, gum disease infections may spread from the gums to the structures supporting the teeth, including the jawbone. If the structures supporting the teeth become damaged, the teeth may become loose and fall out. Gum disease can be prevented by practicing proper oral hygiene, including brushing at least twice a day, flossing at least once a day, and seeing your dentist for regular checkups and cleanings. However, if gum disease or tooth loss has already occurred, there are treatments available to restore oral health and dental function. Gum disease can be treated with procedures such as root planing and scaling and missing teeth can be replaced with dental implants. Dental implants may be paired with dental crowns to replace individual teeth, implant-supported bridges to replace multiple teeth, or implant-supported dentures to replace a full set of teeth. If you suffer from tooth loss or gum disease, we encourage you to schedule a consultation with Dr. Wall.